Kong: Skull Island is an upcoming movie which brings back famous movie monster King Kong to the silver screen, which last featured in a movie in Peter Jackson’s pretty great 2005 King Kong film. 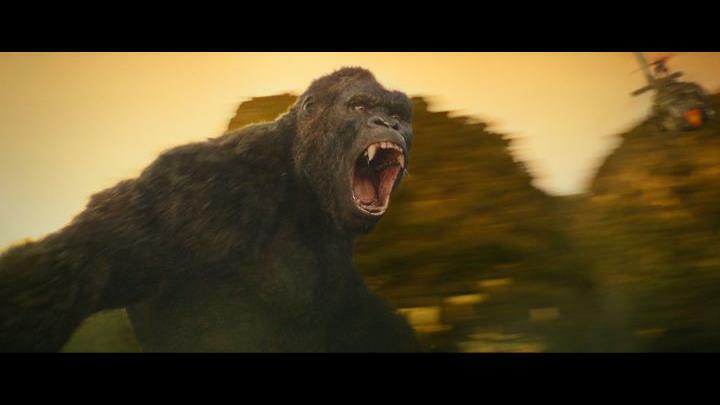 But this new Kong movie is an entirely different affair, though, set in the 70’s during the Vietnam War, with American director Jordan Vogt-Roberts taking the helm for this new entry in the King Kong saga. And director Vogt-Roberts recently discussed his influences for his upcoming Kong movie in an interview with website Den of Geek (via GameSpot), in which he mentioned that The Host and Spirited Away were two movies that influenced the filmmaking process in Kung: Skull Island. Vogt-Roberts also said video games were a source of inspiration for him when making his latest monster movie, and couldn’t hide the fact that he has a soft spot for the likes of Shadow of the Colossus and Pokémon. The movie also features a terrifying monster known as the Skull Crawler, which the American director admits is based on the scary Cubone creature from the Pokémon games. “I love Cubone. Cubone has the saddest story of him wearing his dead mother’s skull on his face”, also saying that “we realised that we’d created this unintentional fusion of all of our nerdy childhood influences”. What’s clear by this interview, though, is that Vogt-Roberts sure has a passion for filmmaking, and if early reviews of Kong: Skull Island are spot on then this might end up being one of the top blockbuster movies of the year when it hits theatres later this week. Note: Kong: Skull Island will be released on March 10, 2017 in the US, and March 9 in the UK. Next: Will Mass Effect Andromeda be better than Mass Effect 2?